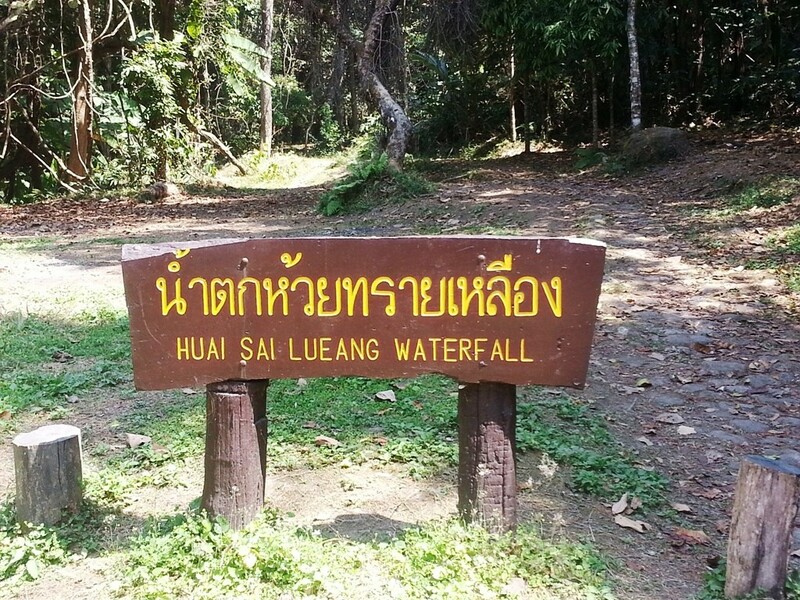 Should Huai Sai Luang Waterfall be named Huai Sai Lueang Waterfall, as the sign at the car-park area clearly displays it, or Huay Saai Leung Fall as the sign at the base of the fall clearly displays it? Or perhaps you may go for one of the two suggestions from Google when you search for the above? 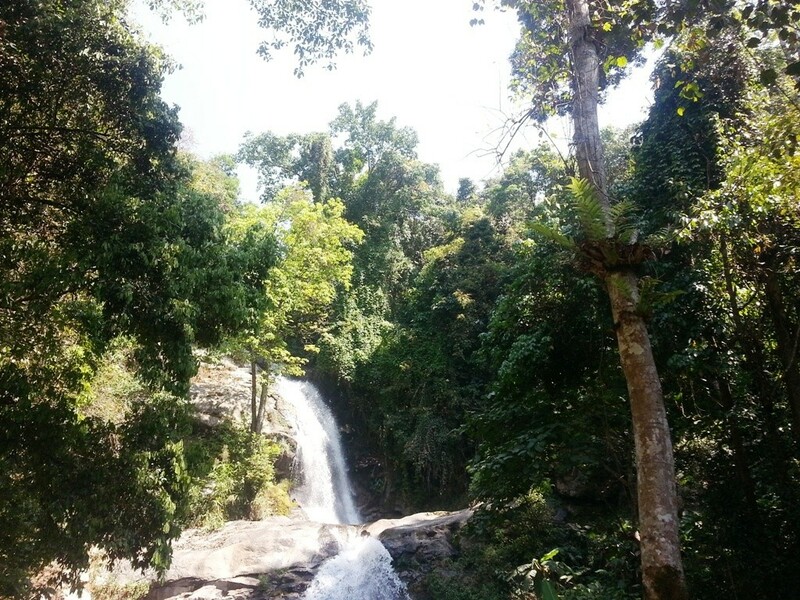 Google suggests it be called Huai Sai Luang Waterfall and Huay Sai Leung Fall when you do a search for the above two options. 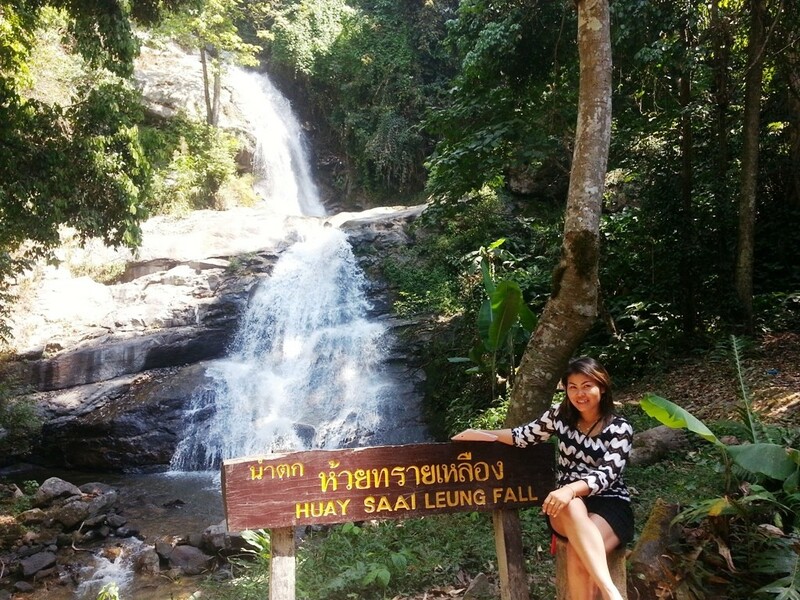 Regardless of what you choose to call it is one of the many beautiful waterfalls located in The Doi Inthanon National Park near Chiang Mai in Northern Thailand. 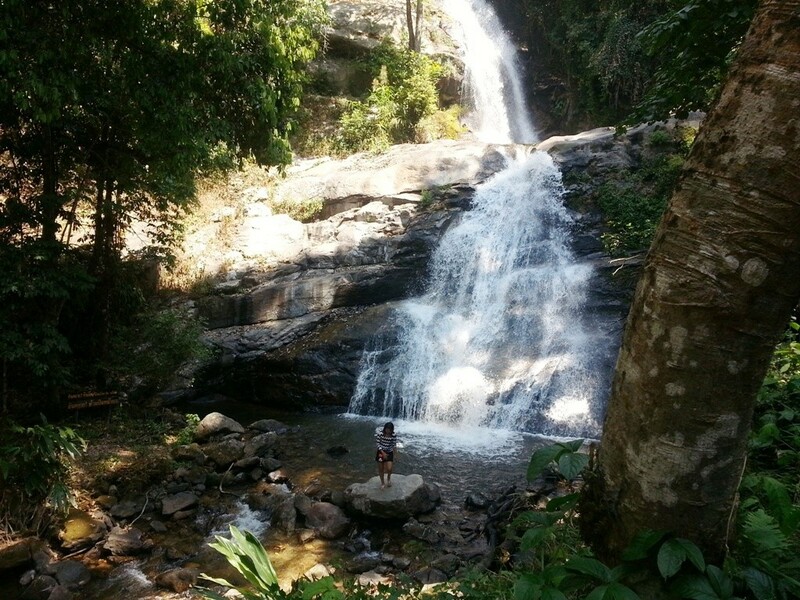 I would not list it as one of the must see waterfalls while in the Doi Inthanon area but if you are passing, it is a nice spot to take a few minutes break. 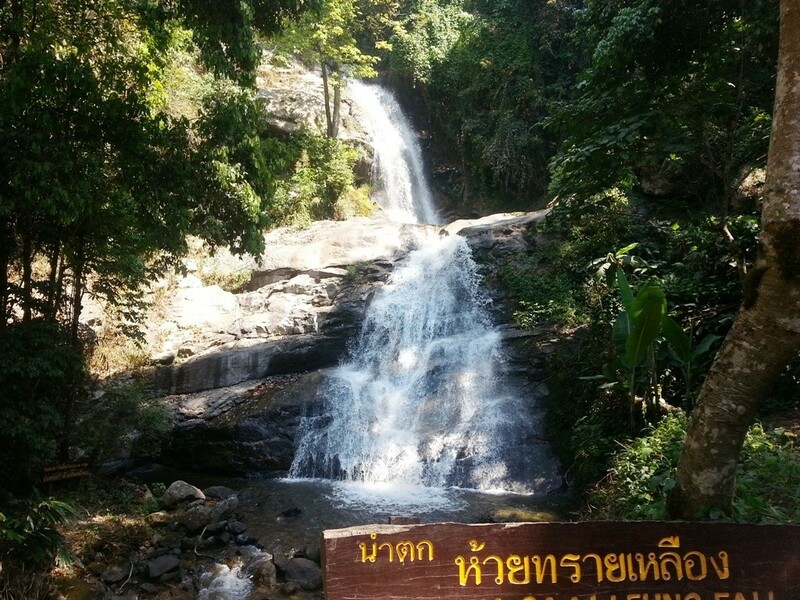 Below are a few photos from our visit to Huai Sai Luang Waterfall on March 02 2014. Click on any image to open a cascading light-box and to see a description of the image. Note the different spellings on the two signs. This is a typical example of how difficult it can be to find your way around when travelling in Thailand.